Leading Egyptian university partners with international boardroom development company. WARWICK, UK, December 5, 2017 – the Corporate & Business Services Division (CBSD) of MSA University in Cairo has signed a partnership agreement with the international boardroom development company, Eskil (https://eskil.co). MSA University provides students with British Higher Education in Egypt and the Middle East Region with courses validated by UK’s University of Greenwich and Bedfordshire University – this provides students with two bachelor degrees accredited worldwide: one from Egypt and the other from United Kingdom. MSA-CBSD is an accredited CPD provider by the CPD standards office, and this accreditation will be extended to programmes/ offerings where MSA-CBSD and Eskil will collaborate to complete the programme accreditation process. 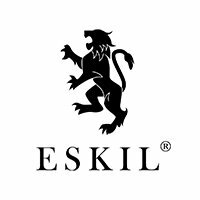 Eskil’s work in boardroom development and wider organizational development activities includes seminars, briefings and workshops as well as playing serious games. We have always felt that it is crucial to build CPD Credits into our model to further underline our commitment to professional development. The culture and attitude of MSA-CBSD made them an obvious partner. CBSD is the professional services arm of MSA and the partnership with Eskil is in place to co-develop international community development offerings comprising non-degree professional certifications, professional business consultation, E-learning and online learning programs. Both Neil Fogarty and Engy Mansour will sit on the MSA-CBSD Advisory Board as the partnership develops and strengthens its current offerings across Middle East and Europe.